Make carrying your cold items easy with these cooler bags. 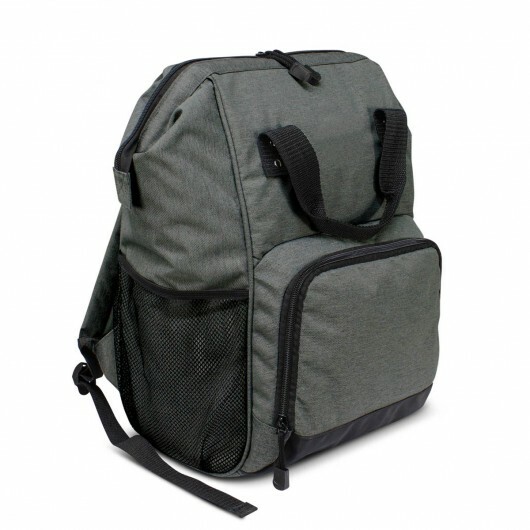 These large 19L backpacks also work as a cooler bag! They feature a thick PE foam insulation encased in a waterproof PEVA inner liner. The outer construction is made from a heather style poly-canvas with a large zippered front pocket and two side pockets, one of which is mesh. Other features of the bag include an adjustable padded shoulder strap, zippered top closure, woven carry handle and smart zipper pulls. Makes carrying your favourite drinks and snacks for a picnic or event easy.